TheJournal.ie lets you know with our guide to what’s coming up in the Dáil, Seanad and various Oireachtas committees today. Hump Day kicks off at 10.30am with Leaders Questions, fronted by the main man Enda Kenny. That will be followed at 10.51am with the Order of Business, before three pieces of legislation are discussed. Due to go through its remaining stages today is the Thirty-third Amendment of the Constitution (Court of Appeal) Bill 2013, which will pave the way for the establishment of a court of appeal, something that Minister Shatter says has “long been called for”. It was explicitly provided for in the Programme for Government. The Courts and Civil Law (Miscellaneous Provisions) Bill 2013 is next up to race through its remaining stages. The title has been changed from the Courts Bill 2013 and it will allow “bona fide representatives of the press to attend court during proceedings”. The last item before the lunchtime break is the Child and Family Agency Bill which sits at Second Stage. After numerous delays, the legislation hopes to set up the long-talked about Child and Family Agency. The body is expected to employ about 4,000 people who will take over responsibility for child protection services. Back from break at 2.30pm will be Minister Pat Rabbitte for questions. He has just launched the government’s National Digital Strategy, which revealed some shocking statistics about Ireland and its relationship with the Internet. From 7.30pm, the Technical Group will return for Deputy Mick Wallace’s Garda Síochána (Amendment) Bill 2013. The group of Independents and smaller party deputies want to “improve the democratic accountability of the Garda Síochána and to encourage community engagement and to ensure adherence to relevant human rights standards”. If accepted – which is unlikely given it was tabled by a non-government TD – it would strengthen the independence and functions of the Office of the Garda Síochána Ombudsman Commission and provide for the establishment of a body monitoring, oversight and supervisory functions over the Garda Síochána. Finally, at 9.15pm, a motion on Lithuania’s European Presidency Programme will be heard. The Dáil adjourns at 10.30pm. Well, it’s been an emotional few days for the Seanad and business resumes at 10.30am today. Senators will get to have their final words on the Protection of Life During Pregnancy Bill 2013 from 11.45am ahead of a vote Friday. The late afternoon will bring Labour’s Senators into the spotlight (from 4.30pm) as they discuss the government’s stated commitment “to ensure that the quality of life for people with disabilities is enhanced” during Private Members Business. Senators Mary Moran, Ivana Bacik, John Gilroy, Jimmy Harte, Aideen Hayden, Lorraine Higgins, John Kelly, Denis Landy, Marie Moloney, Susan O’Keeffe and John Whelan have tabled a motion that commends Minister Kathleen Lynch for her support for Special Olympics Ireland and other work. At 6.30pm, Senators have their final votes on the Ministeries and Secretaries (Amendment) Bill 2012 which deals with putting a ceiling on Government and ministerial expenditure. That will be a quick one, as 7pm has been marked as the start-time for more discussions on the abolition of the Seanad. A tough one for this week following the criticism aimed at its members over the past three days. 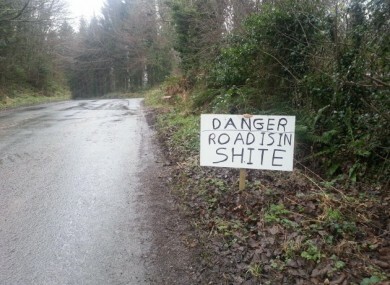 Email “Oireachtas Agenda: The state of the roads and young offenders”. Feedback on “Oireachtas Agenda: The state of the roads and young offenders”.